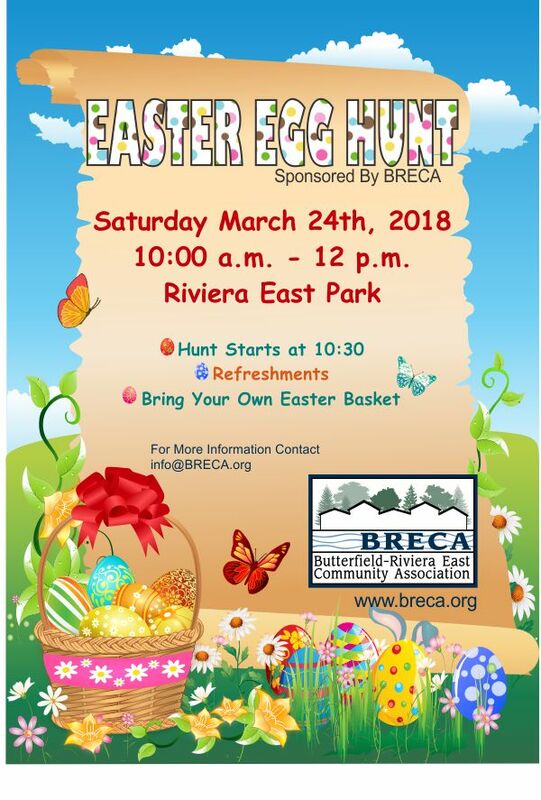 Easter Comes Early To Riviera East Park in 2018! The Easter Bunny came to Riviera East Park Friday night! No, there wasn’t an actual sighting, but the evidence was buried in the park grass on Saturday morning. So, your BRECA team went to work early Saturday morning, leveraging the Easter Bunny’s efforts. A large area was cordoned off for kids to hunt for eggs filled with candy and prize slips, while a smaller area was roped off for children 5 years of age and younger. The children combed the areas and found literally hundreds of eggs. There were 8 special “glitter” eggs that had prize slips tucked within. 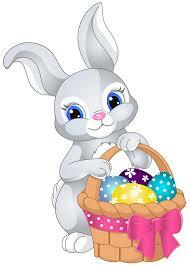 The kids then turned those special eggs in for big baskets filled with toys, candy, and stuffed animals. What fun! Throughout the morning, the adults all watched as children laughed and scrambled … their faces filled with excitement and joy! And yes, even a little bit of tears when one child who had her heart set on a glitter egg was very sad when the last one was found. But with all the other excitement and fun, the sad moment quickly passed as refreshments were enjoyed and toys were shared. A particularly endearing moment occurred when one child arrived a little late, and was having a hard time finding many eggs. Another child saw this and took some eggs out of their own basket, then scattered them around for the other child to find. That’s the kind of neighborhood we have, folks. Even the kids help each other out. Does it get any better than that? If you missed this year’s hunt, not to worry … there’s always next year! If you are not already a BRECA member, I encourage you to join. The very low annual fee of $10 helps us put on community events like this. BRECA is an all volunteer organization and has no paid staff. It’s easy to join! Simply click here and you’ll be taken to our membership page. You can fill out the form online and pay via PayPal, or fill out the form and mail it in with your check for $10. Choose the method that works best for you. 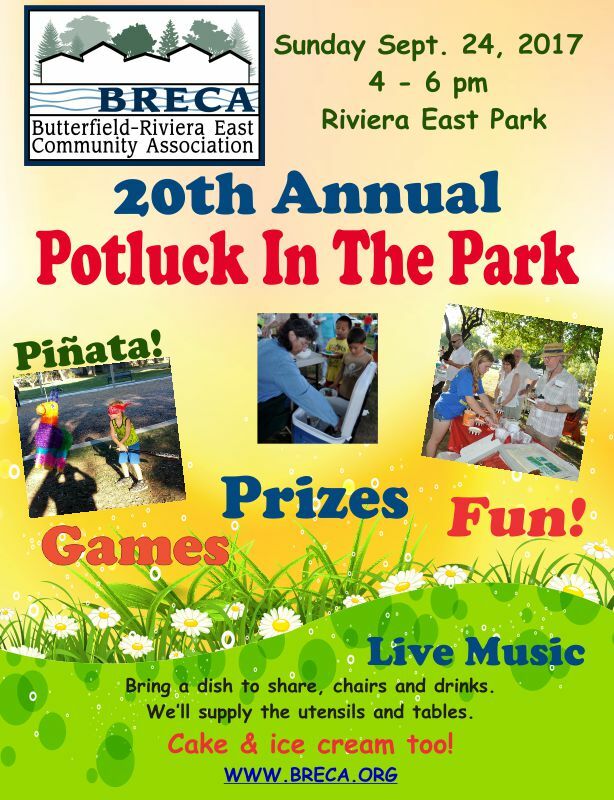 BRECA supports the community, and BRECA appreciates your support!! Each year, the Parkway Foundation facilitates two large-scale, Parkway-wide Clean Ups and monthly, site-specific Clean Ups. Spanning all reaches of the Parkway, Clean Ups remove mass amounts of debris from the Parkway in just a few hours. Removing debris makes the Parkway a more enjoyable and safe space, helps protect the river eco-system, and improves water quality. BRECA is sponsoring the Clean up starting at Gristmill Access. You can sign up the day of the event or register online. This Sunday from 9 to 12 noon BRECA will be pulling starthistle in the Gristmill Area. Please help us control this invasive species. BRECA will supply water, snacks and trash bags. Please bring your gloves, hat and protective clothing. I will be in the parking lot for sign up, and to give out supplies.